The users’ guide (included in the .zip file) contains details about the software. This software is not supported by the Helpdesk, but we will try to answer any questions at MChelpdesk@psu.edu. This R package was developed by the Methodology Center to allow R users to perform latent class causal analysis (LCCA), latent class analysis (LCA), and LCA with covariates. 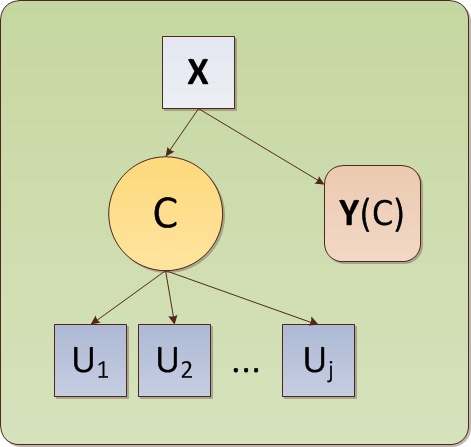 LCA describes relationships among a set of categorical variables by assuming that they are conditionally independent given an unobserved categorical variable. The lcca.r package uses imputing estimating equations to estimate the average causal effects of a latent exposure (i.e., latent class) on a normally-distributed outcome variable. 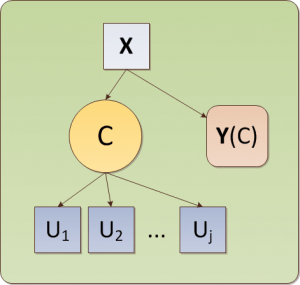 LCCA combines aspects of latent class analysis with Rubin’s causal model (Rubin, 1974; 2005). Download the zip file from this webpage.